Introducing Weasler's New High-Torque Automatic Clutch - Weasler Engineering, Inc.Weasler Engineering, Inc. Welcome to a better, more efficient way to farm. Weasler Engineering’s new automatic clutch is specifically designed for high-torque and high inertia applications, such as large square balers, combines, and self-propelled forage harvesters. When a torque overload occurs in these rigorous environments, our innovative clutch automatically reconnects, allowing the operator to remain seated with minimal interruption to the task at hand. Even better, this convenient, maintenance-free protection comes with maximum mounting flexibility to flywheels, sprockets and more — giving you optimal design flexibility. Download our High-Torque Clutch Brochure! 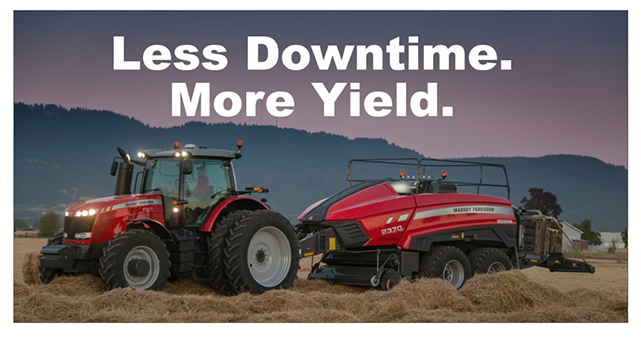 Repeatable high-torque overload protects your equipment, maximizing harvest rates. Minimal torque spikes during clutch disengagement reduce damaging energy from reaching costly sub-systems that are critical to your equipment. Low rpm re-engagement for high-inertia applications minimizes the amount of heat generated during an extended slip as the implement comes to a full stop. Minimal heat generation extends clutch life, eliminating the need to re-lubricate. Maintenance-free, sealed clutch requires no additional lubrication, saving you time and money. Audible alert indicates when the clutch disengages and re-engages, so operator knows to reduce power due to torque overload. 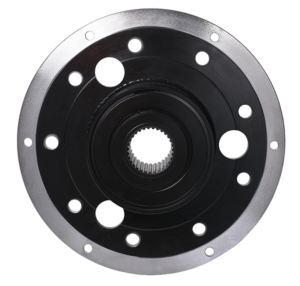 Performance: Weasler Engineering’s patented clutch design minimizes torque spikes during disconnect, which results in increased downstream component life and makes the clutch ideal for high inertia applications. Design: Smart design allows mounting flexibility to meet a wide array of your needs, including flange bolt patterns, flywheels, sprockets, and hubs. Driver bores are available up to 65 mm. Through-shaft design increases mounting flexibility and applications. Wear resistant materials ensure repeatable protection and durability. Sealed design requires zero maintenance for the life of the clutch. Torque settings available up to 6000 Nm. Wide range of operating speeds are available upon request. 100% shop tested and serialized. Let Weasler engineers help you match a system for your specific application. We can design a clutch solution to meet your exact torque capacity or RPMs, and one that mounts or connects as needed. Email oemsales@weasler.com now.